Please join us in welcoming Dr. Lynn Pangburn to the clinic. Dr. Pangburn is a graduate of Palmer and has been in private practice for over 10 years. We're very excited she's joining the Lifecare Chiropractic team. She is anxious to meet our patients and develop relationships with them. We wanted everyone to have an opportunity to meet Dr. Pangburn, and will be holding an open house on Saturday, June 27th from 11:00 a.m. - 2:00 p.m. at the clinic. This will be an opportunity to not only meet her, but also to receive an adjustment an a short chair massage. We hope you'll be able to join us at the event. We'll provide lunch and beverages! Contact Sandy for more details. No need to wait until the 27th to meet her, Dr. Pangburn will begin seeing patients on Monday, June 15th, so call to make an appointment. and we'll throw in 15minutes of reflexology to be used as an add on with either of the two massages. Drift away from your troubles with a relaxing massage. This is a savings of $65!!! DON'T WAIT....CONTACT US AND PURCHASE YOUR SUPER SUMMER DEAL! You can purchase up to five packages. Must be used before Sept 30th. Media is having a field day with ads to reduce belly fat. You see it everywhere you look. Between products and fitness tips that encourage situps to get rid of belly fat, it's abundantly clear that this is not the answer.Dr. Lynn Pangburn of Red Mountain Chiro-Med in Mesa Arizona said “We know that carrying extra fat round the middle raises your risk of disease. The reason is that abdominal fat produces inflammatory molecules. This triggers a variety of systemic diseases like type 2 diabetes, heart disease, strokes, and other chronic diseases.”So if you'd look better and would reduce your disease risk by getting rid of the tummy flab, why is it so darned hard to shed fat there? STOP BLAMING YOUR AGE! As we age, our hormone levels shift, but we can make up for that with the proper combination of exercise and nutrition. Exercise plays a big part in raising HGH (Human Growth Hormone), which helps with fat metabolism. Muscle burns a lot more calories than fat does and raises your HGH levels. THE MAGIC TRIAD! You need cardiovascular as well as weight training to make the difference AND proper nutrition is 80% of it. YOU'RE DOING THE WRONG EXERCISES! Stop doing hundreds of crunches hoping the fat will just melt off. You cannot spot lose. You need to be doing functional exercises that use the muscles in your core-abdominals, back, pelvic, obliques-as well as other body parts. For cardiovascular work, switch to HIIT (High Intensity Interval Training). Several studies have confirmed that exercising in shorter bursts with rest periods in between burns more fat than exercising continuously for an entire session. UP THE INTENSITY! You can't do the exact set of exercises and see improvement. The body is amazingly adaptable. Keep it challenging. Stop using the same five pound dumbbells and move it up a notch. Always exercise properly and safely and if you need help enlist the help of a Personal Trainer. YOU CAN'T DO IT WITH EXERCISE ALONE! Nutrition is CRUCIAL. No amount of exercise will help without this component. Think about eating around the perimeter of the supermarket with lots of lean meat, fruits, vegetables and eliminate processed food. You need to eat every three hours with good quality lean protein and less processed carbs. If the package has a list of ingredients as long as your arm…put it back on the shelf. REDUCE STRESS! High levels of stress creates high cortizol levels, known as “the stress hormone,” which depletes lean muscle and makes your body hold on to fat in the abdominal region. And most of all commit yourself to getting your health back and that belly fat gone. Reducing belly fat takes a combination approach of a low-calorie diet that is high in fiber and low in carbohydrates and sugar along with cardiovascular and weight training. Dr. Pangburn says I've seen miracles happen if approached with a sensible dedicated manner. Does that pendulous belly makes you feel old and unattractive? If you are willing to do the work, you can move past genetics and lose it. Do you want to love your life again? It's completely possible and within your power. Dr. Lynn Knuth of Red Mountain Family Chiropractic (in NE Mesa) says "Listen to your body! It often starts telling you WAY before it's a problem that trouble is brewing. So the next time you say..."oh I'm a little stiff"....THAT is mild pain! Also....you don't have to have pain to see your chiropractic. Go for your monthly tune-up. 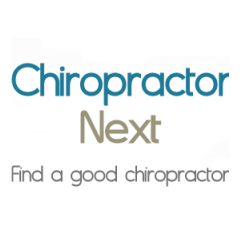 I've never had a patient come in for a tune up and not find something they were totally unaware of." In Northeast Mesa at Red Mountain Family Chiropractic, Dr. Lynn Knuth sees people with neck and back pain every day. She says "it's not unusual for people to be shocked at some of the other uses for chiropractic care." While she treats the usual problems like the problems listed below, Chiropractic has many other uses. You are invited to an evening of Fun, Friends and Fabulous Miche Bags and Accessories! One Bag, Endless Possibilities! Having a Miche Bag means no more changing purses to go with different outfits. Just add a shell and you’ve got a whole new look to your Miche Bag! With so many shells to choose from you can have a new look every day of the week! Purchase any of the “Hope” shells and Miche will donate a portion of the proceeds to the Huntsman Cancer Institute to help in the fight against cancer. So do your part and help out this worthy cause, buy one of the beautiful “Hope” shells to add to your collection & look good doing so! No formal presentation, just a great excuse to get together with friends and have some fun! Feel free to bring some friends too! Hope to see you there! For the month of March we're offering a SCREAMING DEAL of an hour massage for only $25.00! DO NOT MISS THIS DEAL! You can only purchase this in March! On the day you come in for your massage, you can purchase up to FIVE massages at $25 to be used by Aug 30, 2012. These make GREAT GIFTS! You may never see this again. Don't wait...order today!